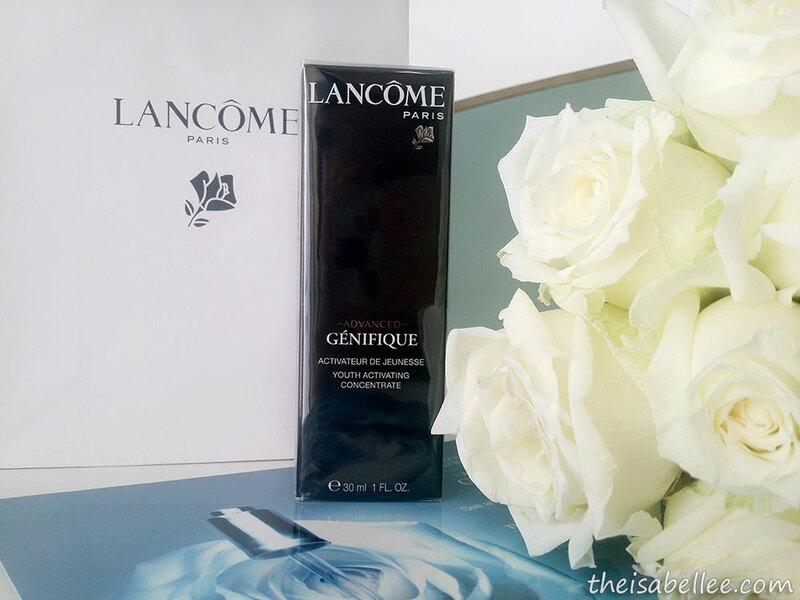 I received an e-mail from Lancôme and jumped at the opportunity to have my own Lancôme Advanced Génifique‏! Every aspect of the bottle is beautiful but I really wanted to know if it's really that awesome? I was supposed to see results in 7 days after all. 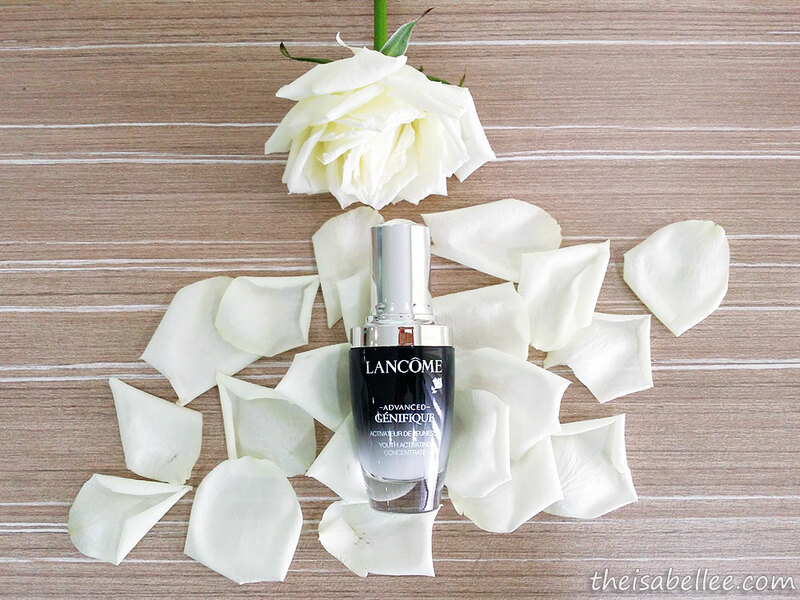 It is known as the 'Youth Activating Concentrate' because the serum will give you a radiant glow. This glow from within is defined as the Youth Aura. 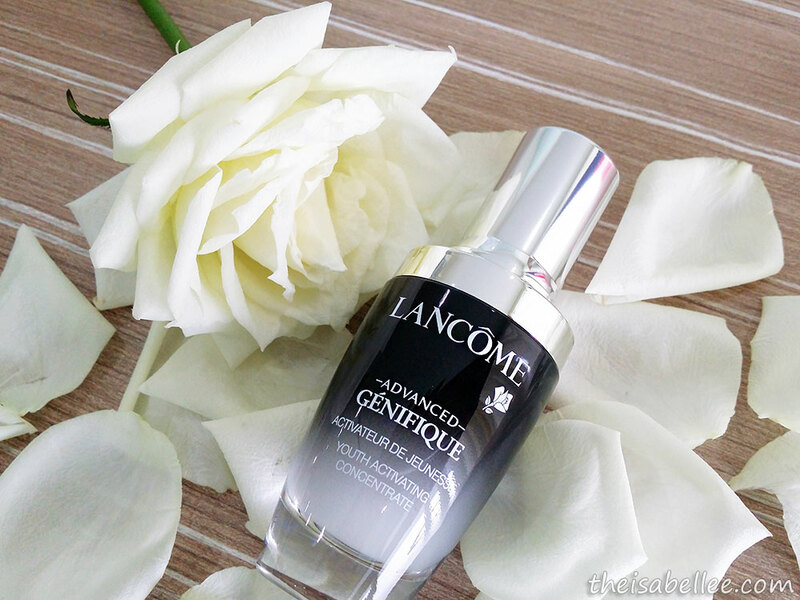 As we age, our skin starts to dull but Lancôme Advanced Génifique‏ will help us to regain that radiance! 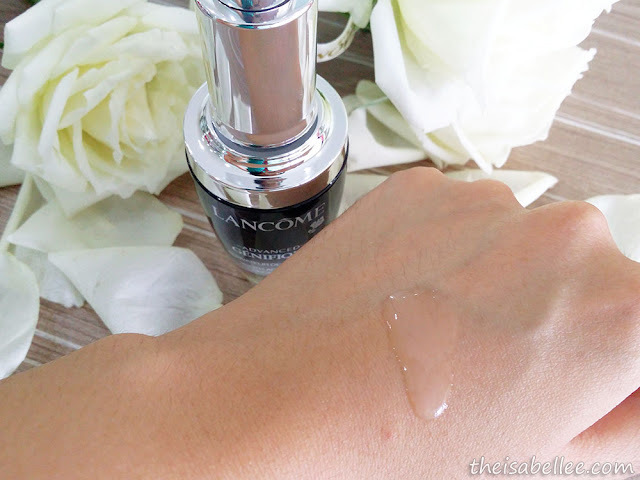 The product is slightly whitish and has a texture that I would say feels like snail serum; a little slippery to touch. It's very easy to spread on my face but takes no time at all to absorb into skin. 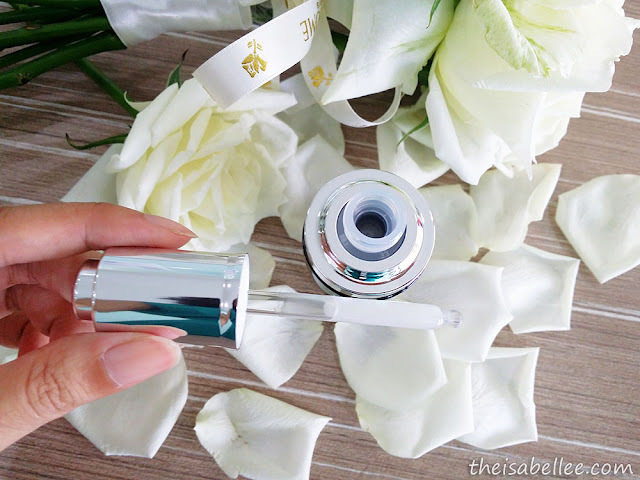 This is the dream texture for all skincare products! It doesn't make my face feel oily, sticky or heavy at all. Whoa! so envy you...I also want!!!! 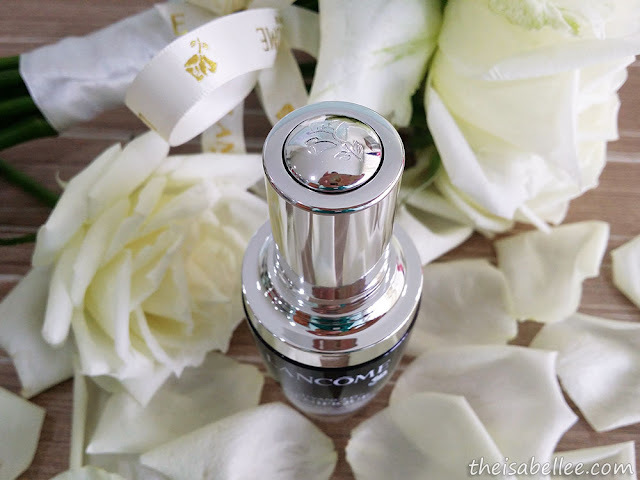 I also want youthful looking face in 7 days by Lancome. 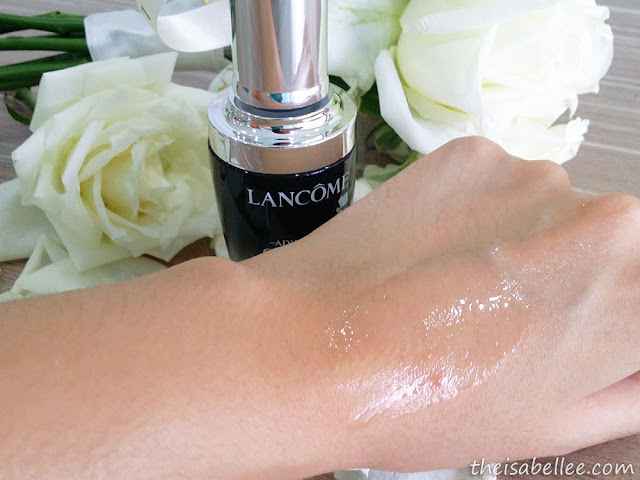 Looks so moisturize and so hydrated after applying on your skin!~ Must be a great product..
lancome has always come off to me as being a rather well-known product. At least for someone like me to have heard of it :D.. nice review Isabel! The product looks so exquisite! Serums are always more costly but if it really works then it will really be worth it! 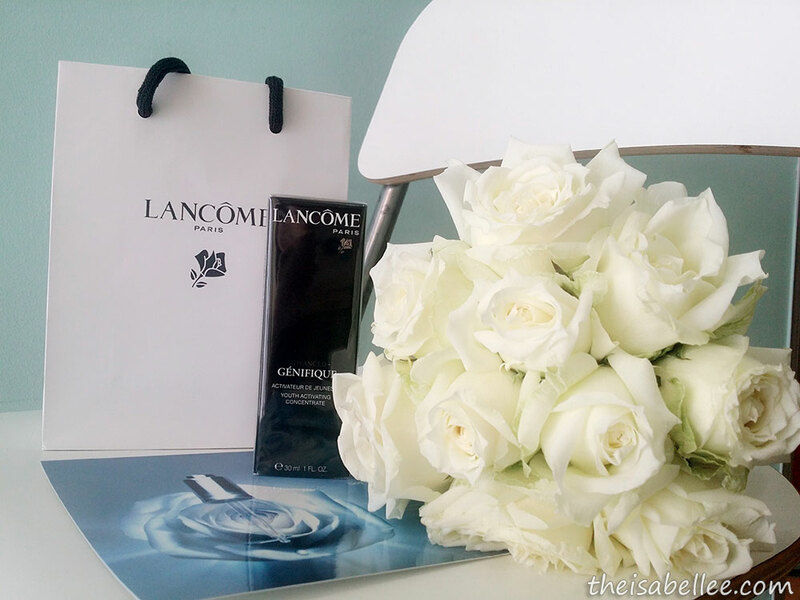 Lancome has always been one of my favourite brands! Sadly, I've only had the luxury to use it once (my friend gave it to me as a present) as it was a liiiiitle expensive. I wish it wasn't so expensive though, I really wanted to try it. Nice pictures Isabel! I love Lancome Advanced Genifique a lot too xoxo. i have always love lancome products!if it makes you radiant and glowing then it is a must have! 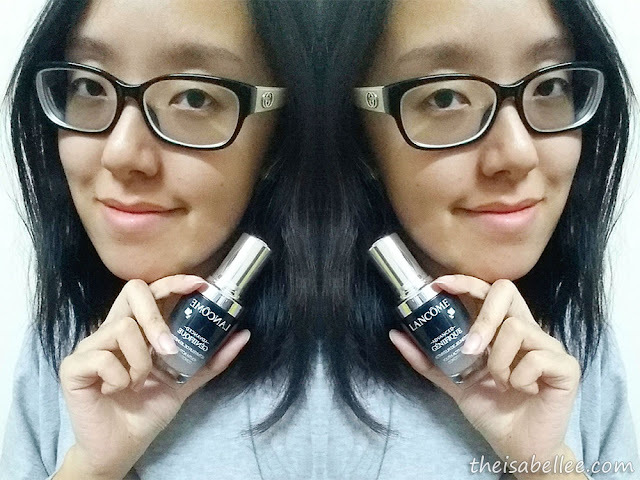 Loreal product always gives the best to our skin. Nice review dear! Eh if can have comparison photos of before & after, that will be nice! I love to get it everytime when i go airport!